Despite a growing interest in the sociology of the body, there has to date been a lack of scholarly work addressing the embodied aspects which form a central　part　of our understanding and experience of　sport and movement cultures. Researching Embodied Sport explores the political, social and cultural significance of embodied approaches to the study of sport, physical activities and dance. It　explains how embodied approaches fit with existing theory in studies of sport and movement cultures and makes a compelling case for incorporating an embodied approach into the study of sporting practices and experience. The book adopts a multi-disciplinary lens, moving beyond the traditional dualism of body and mind, and incorporating the physical with the social and the psychological. It　applies key theories that have shaped our thinking about the body and sport, and examines both the personal, subjective experience of sporting activities　and those experiences involving engagement and contact with other people, in team sports for example. The book also explores the methodological implications of ‘doing’ embodied research, particularly in terms of qualitative approaches to sports research. 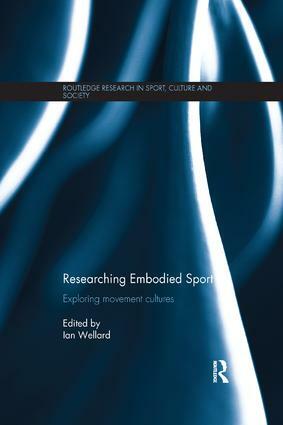 Written by a team of leading international sports researchers, and packed with vivid examples from sporting contexts as diverse as surfing, fell running, korfball and disability sport, Researching Embodied Sport is fascinating reading for any advanced student or researcher working in the sociology of sport, physical cultural studies, physical education, body studies or health studies.